SANTA CLARA, Calif. - Feb. 17, 2015 - PRLog -- SANTA CLARA, CA. February 20, 2015. ACT-Vision, a distributor of high quality Machine Vision Solutions for Semiconductor and Industrial Manufacturing, will introduce KKIMAC and Hayashi Lighting solutions at APEX IPC, February 23-26, 2015 at the San Diego Convention Center, San Diego, CA. 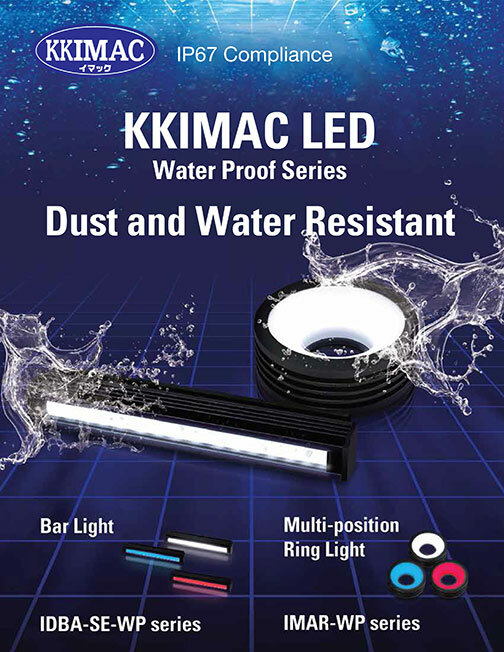 KKIMAC is one of Japan’s leading manufacturers of LED lighting and power supplies used in image processing and inspection systems for semiconductor and industrial manufacturing. Products include infrared and ultraviolet rays and waterproof LEDs. Hayashi Watch-Works Lighting, produces LEDs and fiber optic for Japan’s leading microscopy manufacturers. With its rigorous quality control and high quality standards, Hayashi products have been chosen for their reliability and efficiency. “As a distributor with vast experience with machine vision manufacturers in Asia, we want to introduce proven, high quality, high value products to the U.S. marketplace. Our Focus is on Quality”, said Satoshi Naoi, president of ACT-Vision. ACT-Vision’s mission is to provide high quality and the best value solutions in machine vision applications to the U.S. marketplace. ACT-Vision’s booth is 3921 in the San Diego Convention Center, and will be raffling off a GoPro Hero camera at 4pm on Wednesday, February 25th, at their booth. ACT-Vision is located at 2372 Walsh Ave., Santa Clara, CA 95051.